Talking about folic acid in simple we can say that it is a synthetic form of folateand is vitamins B. Normally if we are taking a balance diet we can get enough amount of folate in our diet. • Folic acid is very useful in treating as well as preventing folate deficiency anaemia. Now if we talk about the main reason why this type of anaemia occur as because there is lack of nutrition, alcoholism, pregnancy as well as by consuming some antiepileptic medicines..
• Folic acid can be a good dietary supplements for pregnant women or women planning for pregnancy. 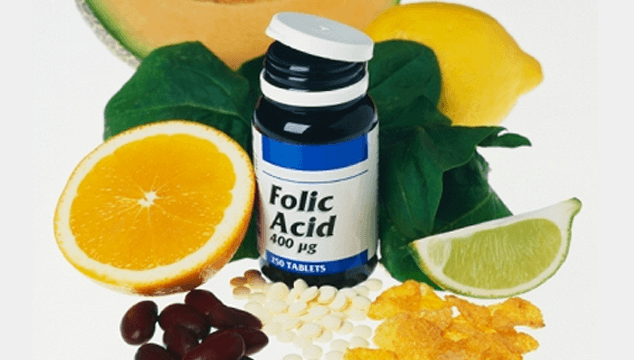 Women consuming folic acid during the pregnancy period, helps those in preventing neural tube birth defects like spina bifida and other congenital malformations in the developing baby. • Folic acid is very helpful as well as essential ingredient for making the genetic material of cell which is also known as DNA, which is vital for growth and development. • Folic acid also helps in maintaining a healthy nervous system. • Folic acid is also helpful in forming Red Blood Cell (RBC). Thus a proper course of folic acid supplements helps in improving and corrects the deficiency and increases the red blood cell. If we talk about these supplements they don’t cause any side effects except in rare cases as because these are water soluble vitamins. But if we are consuming more than 1g folic acid daily than it can cause deficiency of vitamin B12 in our body and thus for this case it should be prescribed by doctor.